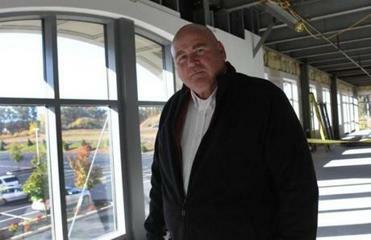 Jon Delli Priscoli is trying to bring in life science/biomedical companies into the building near I-495. When developer Jon Delli Priscoli wanted to construct a new building in Marlborough, he spent a few hours driving around Cambridge taking pictures of the sleek, modernistic buildings that make up the face of the science and technology hub. “I made a hybrid of those styles with my own, so that we could have a Cambridge-style building here in Marlborough,” said Delli Priscoli, chief executive officer of First Colony Development. But Delli Priscoli’s goal was not just to make a building that looked like it might be adjacent to MIT. He wanted to stock its four floors with the kind of businesses that often call Cambridge their home, particularly in the “life sciences” industry, which includes biotechnology and medical device companies. He is not the only one. Mayor Arthur Vigeant, the local chamber of commerce, and a quasipublic agency called the Marlborough Economic Development Corporation have all been working to secure such businesses for the city. “We are definitely making an overture to the life sciences and medical devices industries, to let them know that Marlborough is a great place to do business,” said Tim Cummings, the development agency’s executive director. In the 1980s and ’90s, Marlborough was seen by many as having a strong backbone of big business, with a slew of information technology companies setting up here. Over the last decade, however, this city with roughly 39,000 residents has built up an impressive roster of life science and medical device companies, many of which have arrived over the past year. Quest Diagnostics, Boston Scientific, Sunovian, and Hologic all have headquarters in Marlborough, and the list continues to grow. 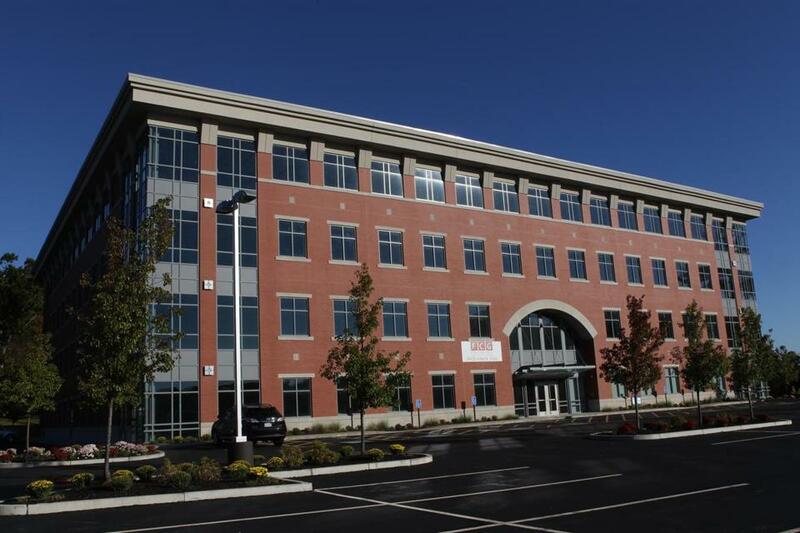 Most recently, Boston Biomedical Associates announced early this month that it would uproot from its home in Northborough and move its 52 employees over the town line to Marlborough, into a 17,000-square-foot space on the second floor of Delli Priscoli’s building at 100 Crowley Drive. “In the last four or five years, we’ve expanded multiple times in our current location, and it’s not an ideal physical scenario for us to stay,” said Mack Rubley, the medical device company’s director of business development. Jon Delli Priscoli on second floor of his building. The plans to lure companies like Boston Biomedical Associates have been several years in the making, and highly deliberate. In 2011, the Marlborough Economic Development Corporation released a master plan that laid out in straightforward terms the economic challenges facing the city in the coming decade. Among many other things, the plan called for the creation of “27 million square feet of new nonresidential space,” or roughly triple Marlborough’s level of commercial space as of 2011. Integral to this, the report said, was encouraging biotechnology businesses and trade groups to keep Marlborough at the top of their minds when considering where to open shop. Local officials have taken to heart the report’s suggestion of a more “activist approach” to business recruitment — particularly with regard to the life sciences sector. According to Cummings, roughly 30 percent of last year’s commercial real estate activity in Marlborough came from life science and medical device companies moving or committing to move into the city. A major element of Marlborough’s recruitment pitch for businesses has been its location. Although the city is 40 minutes away from Boston by car (without traffic), its proximity to Interstates 90, 290, and 495, and Route 20 makes getting around Eastern Massachusetts relatively easy. For Delli Priscoli, it seems like a sensible trade-off, especially if one wants to escape the urban bustle and high rents of Boston and Cambridge. Marlborough’s city council structure is also cited by many as being a positive draw for businesses, which can use its expedited permitting process to move big construction projects along more quickly than a typical board of selectmen. But even more compelling for new businesses are the flexible property tax arrangements that companies coming into the city can take advantage of, particularly the state's tax increment financing program. A TIF agreement allows communities to temporarily reduce the property taxes for a business by calculating its bill only on the “base value” of a property, and exempting up to 100 percent of any value the property gains through the company’s operations. Such agreements last for between five and 20 years. This is especially important for life science and biotechnology businesses, Cummings said, because they often need to make substantial material improvements to buildings they take over. They may have to install a costly air-flow system or, as the business grows, put additions on the facility. Cummings points to Quest Diagnostics, which last year announced plans to move 950 of its employees into a 200,000-square-foot building formerly used by Hewlett Packard, as an example of how these agreements can encourage biotech companies to do business in Marlborough. Similarly, Mayor Vigeant noted the Campus at Marlborough, a complex with 530,000 square feet of commercial space in the southwest corner of the city that was purchased for $103 million in 2011, has been a net gain even though it will forgo millions in property tax revenue as a result of its TIF agreement. Taken together, even favorable tax agreements, bureaucratic structures, and transit options will not necessarily ensure Marlborough’s success as a hub for the life science industry. Improving the city’s downtown and entertainment options is still a concern for those who want to entice families into settling down here, as is its distance from the reigning industry giants in Boston and Cambridge. To those in the industry, however, these concerns are dwarfed by the underlying needs of both major companies and start-ups in one of the state’s fastest growing industries. They are the same needs that encouraged the Massachusetts Biotechnology Council to upgrade Marlborough to being a “Platinum BioReady Community” last December, a designation that Cambridge and Boston also hold. The council’s director of economic development and global affairs, Peter Abair, said that before giving Marlborough the new rating, MassBio was assured that city officials understood the nuances required to accommodate such businesses. Dan Schneider can be reached at danieljoshuaschneider3@ gmail.com.